The FLC-FC cone flow meter is an advanced application of differential pressure technology. Its characterization of the flow profile enables reliable measurement even under the most difficult conditions. Thanks to its design, the cone flow meter is ideally suited for applications with limited mounting space. It offers a wide and stable turndown and, at the same time, a high accuracy and repeatability. The FLC-FC cone flow meter is produced in accordance with the ISO 5167 reference standard. Part 5 of this standard covers the topics of installation and operating conditions and gives further information for calculating the flow rate and its uncertainties. The conical primary element has been designed so that its edges are protected from particles in the medium. Therefore, the cone flow meter has a very long service life, even in applications with abrasive media. The optimised flow profile prevents asymmetric flow effects and enables operation with very short upstream and downstream pipes. 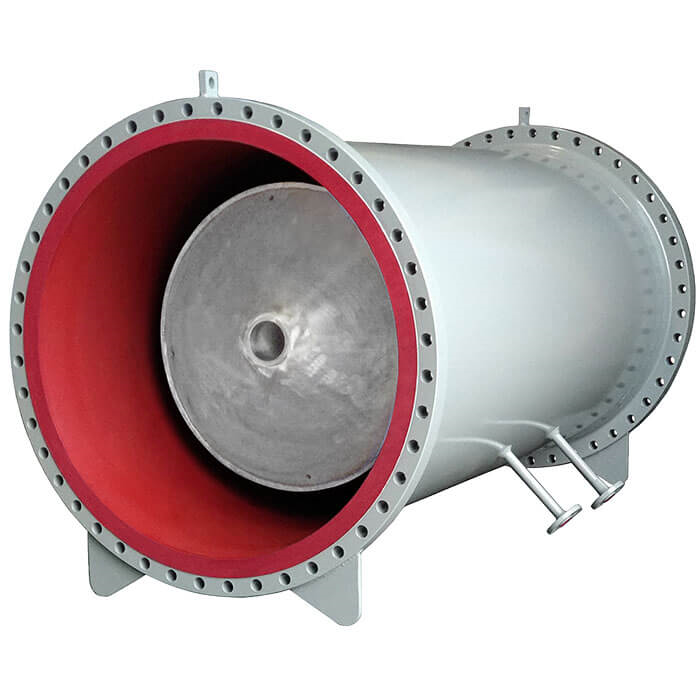 Only high-quality and traceable materials are used for the cone flow meter. During the manufacturing process, only highly qualified welding techniques are used. Each flow meter is subjected to strict controls and non-destructive tests before delivery to ensure the WIKA quality standard.